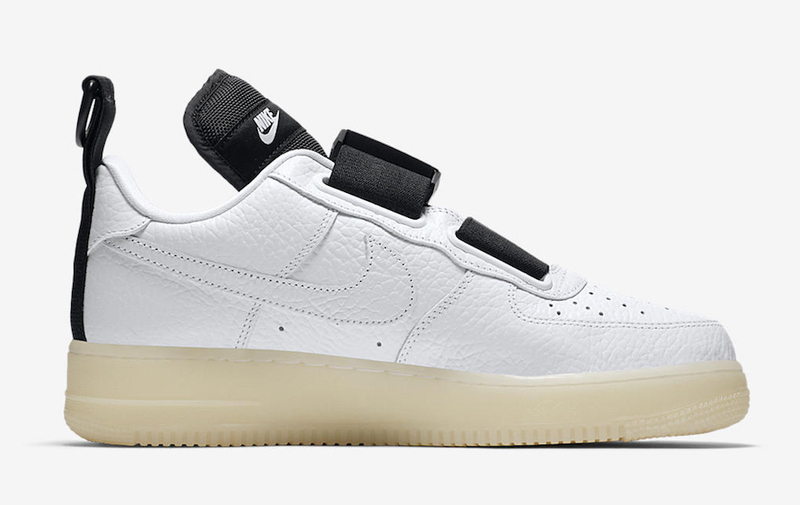 Following up the Air Force 1 utility ” Olive Canvas”, Nike Sportswear is aiming to debut a new Air Force 1 Utility, military theme, for this season. 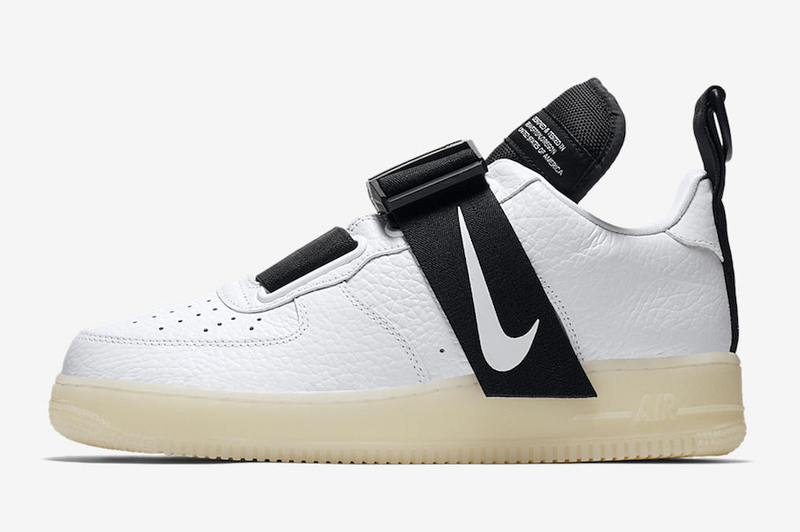 This shoe is done up in white and black color scheme. 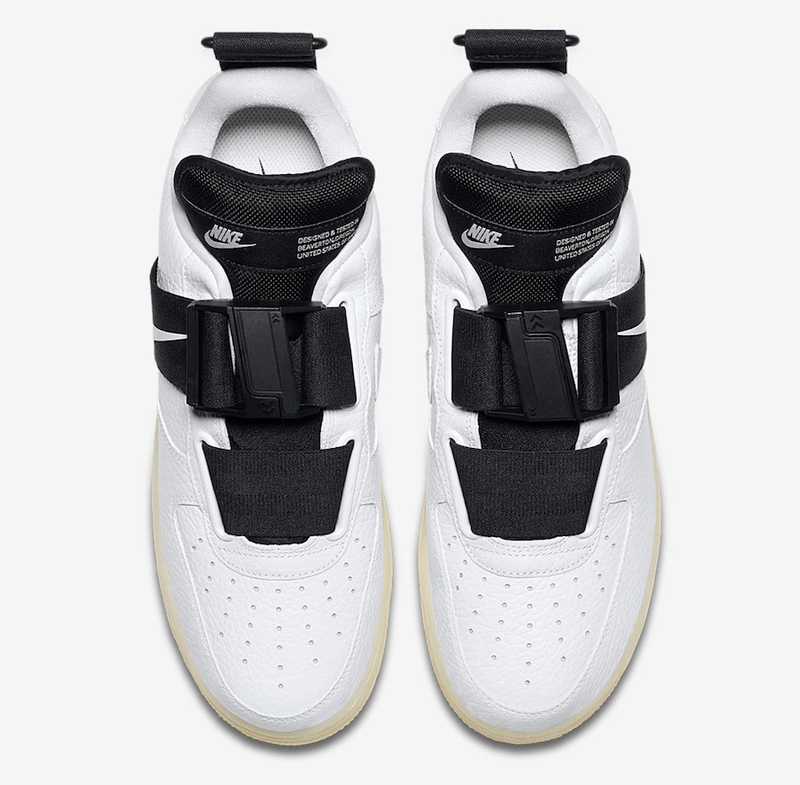 It features the same customer Air Force 1 Low, adding to the new buckler straps. 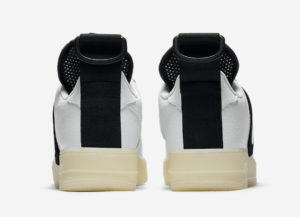 While it is equipped as well with a mesh tongue and a leather upper covered in white. 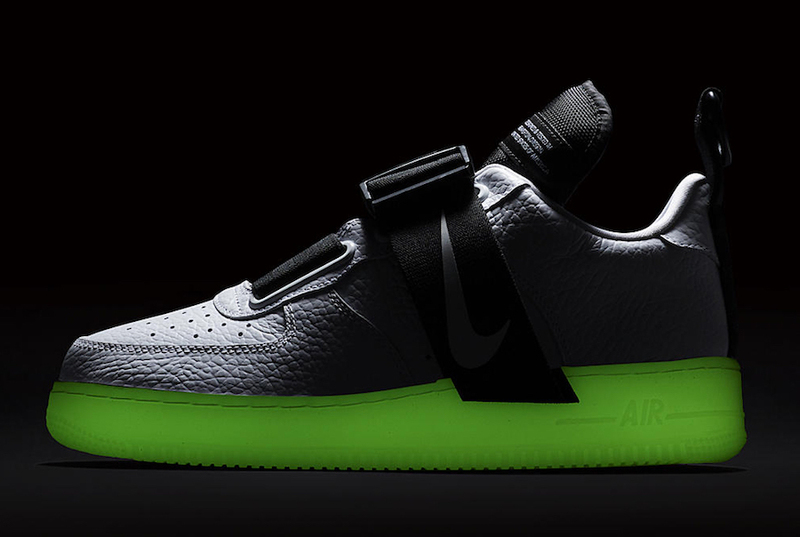 A gummy sail midsole, that glows in the dark, tops-off this design. 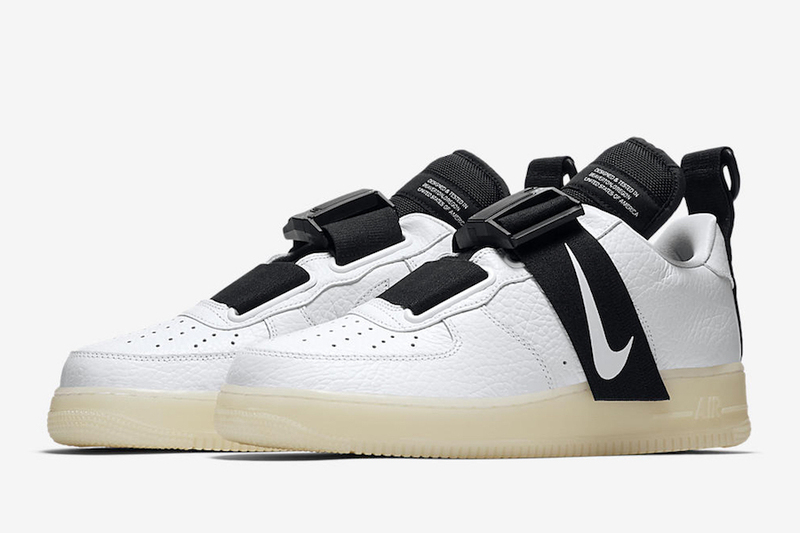 Wait for this Nike Air Force 1 Utility to drop on October 5th at select Nike Sportswear retailers and on Nike Store Online. 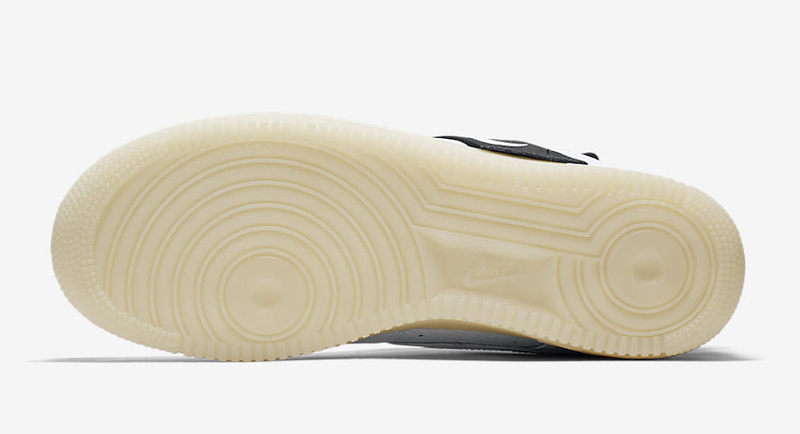 Peep a look below and be sure to grab a pair for yourself, retailing at $145 USD.